If you love the arts and want to continue to see films from a distinctly North American perspective, join VAFF’s cast and crew! 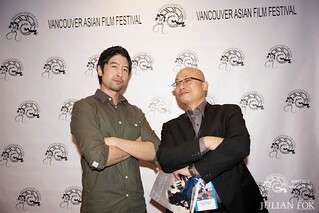 The Vancouver Asian Film Festival is the oldest film festival of its kind in Canada and, after 18 years, there is still much more that can be done to support emerging and established North American filmmakers of Asian heritage. Join the VAFF Donor & Membership, be one of the VAFF’s cast. All amounts are greatly appreciated and gratefully accepted. For all donor & membership program inquires, email marketing@vaff.org. Once you filled out the FORM, click the Submit & Proceed to Donation via Paypal button. If you don’t have a an existing PayPal account, use the Continue link to skip the account login process and then proceed with donation.